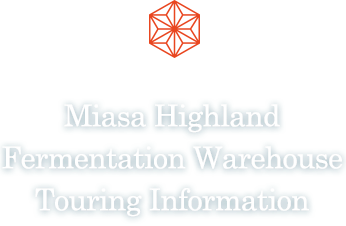 Our valued miso of uncompromised quality is fermented and matured slowly over a long period in the best condition, that is, amid the great nature of Miasa Highland. It is traditional, naturally fermented miso, produced by the nature and the experienced techniques. That includes the one prepared in the wooden barrels made out of the beautiful Neba cedars, created by the source of the clear Yahagi river, which runs through Nagano. We use the Neba cedars grown in Neba village, which is located in the northernmost of Nagano. We have miso that is prepared in the wooden barrels made by the experienced craftspersons or miso that is slowly matured at a low temperature over a long time. ・ Delivery will be made on a plastic container. and there are 3 options for label design. ・ Storage time will be at max 2 years, and filling will be 2 times max.